"The secret to planning your future is getting started. The only limit to your realization of tomorrow will be your doubts of today. Working together we can advance confidently in the direction of your dreams." 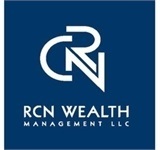 Whether you are just starting to save for your future, or are a seasoned investor, RCN Wealth Management, LLC has the experience to work side by side with you to reach your objectives. We offer financial and investment services through First Allied Securities, Inc., our broker-dealer, to individuals, families, business owners and their employees. Our commitment is to always provide unbiased advice, impeccable service, and diversified financial resources to serve your particular needs … those are the real benefits of an independent perspective. FINRA Series 7, 24, 63, 65. Member of the Dispute Resolution Board of Arbitrators.